So you’re buying a boat! Whether you are new to boating or upgrading to the cruiser of your dreams, here is some basic advice for what you need to consider. What kind of boating will you do, and what kind of use will your boat get? Are you looking for recreation for the whole family, or fishing just for yourself and maybe one other person? Are you spending most of your time in the ocean, in a lake, or on a river? Will you be overnighting? Do your kids want to wakeboard and water ski? Knowing the use your boat will have determines the type that is best for you. Be sure to consider the way you use a boat now and what you may want to do in the near future. Are you paying dock fees, or storing the boat on a trailer? Consider that if you avoid dock fees, you have the advantage of keeping your boat dry and avoiding water damage and corrosion year round. You also have to take it to a launch ramp every time you want to go boating, which isn’t what many people want to do if they want a quick getaway after work. Are you buying new or used? Used will certainly save you money, but you need to do your due diligence in checking out the condition, and purchasing a warranty. 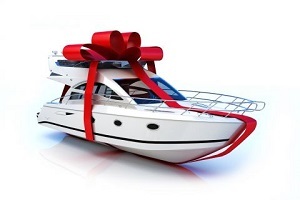 Do you want a powerboat? Or are you looking to paddle it or own a sailboat? Most sailboats have a backup engine for when there is no wind. Start your search online. Identify the type of craft you are interested in. You can find many sites that feature members selling used boats, or advertising new ones from manufacturers. Visit boat shows. These are great places to learn about different types of boats, and also get some training and opportunities to try out a boat as well as see it right there and have advice. Your local marina will also usually have tips on where locals find the boats they want.